Taimur Ali Khan Pataudi's time with the paparazzi might have come to an end. As per reports, the paparazzi attention around Saif Ali Khan and Kareena Kapoor's son has started troubling their neighbours. And honestly, it makes sense. Some reports suggest that recently Saif had reprimanded the paparazzi outside his residential building, who had come to click pics of Taimur. Cops were called by an unknown resident to ask the photographers to leave. Saif has opened up about the latest development in his family's relationship with the paparazzi and has revealed that it was not him who initiated the police complaint against teh photographers. While talking to Pinkvilla, Saif added, "Kareena and I live in a respectable residential area and are a part of the larger community, thereby we do also have a responsibility to emotionally support our neighbours when they feel a disturbance to them is being caused and to be fair, their sentiments are understandable. We have always shared a very respectful relationship with the paparazzi as we understand that this their livelihood,"
"However, it's important for us to understand that kids should enjoy the basic right of growing up in a normal atmosphere out of and away from constant media glare. I believe I am well within my right as a father to choose to not pose for the cameras when I have my son with me or to inform the photographers that the constant flashes can hurt his eyes. As media figures, we have to live with the attention and we accept that. But our kids shouldn't be subjected to it," he added. 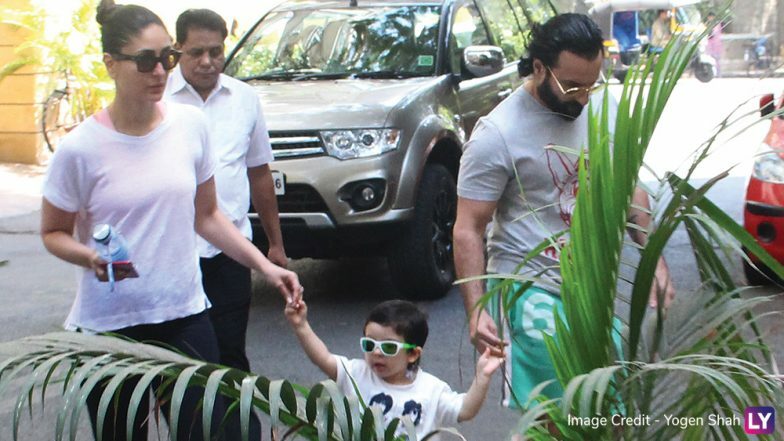 Saif Ali Khan Lashes Out at Paparazzi for Clicking Taimur Ali Khan, Says ‘Stop It, My Child Will Go Blind’. From there to here. We guess, even Saif, who was willing to let his child be clicked, did not realise the frenzy the paparazzi culture will turn into. And as they say, people change. Saif might have been in the past, but is not comfortable anymore with Taimur being watched by the paparazzi at all times. respecting their privacy, we should leave it at that.